The long-running Ridge Racer series returns again this time on the PSP, but will the latest addition to the Ridge Racer series live up to the popular name? Vroom: The latest Ridge Racer follows the same gameplay formula as the previous installments in the well-known series, and has you racing a variety of cars in an arcade-type style of racing that emphasis speed and drifting. Ridge Racer features a large variety of cars, and each and every one of them look incredibly realistic and shine with detail and polish. The in-game graphics are just as impressive and as you race around the fairly robust amount of tracks, you will be able to see your glorious speed bullet in action. The tracks look just as great as the cars, and reflect light and different shadows at different times on the track, giving you a true sense of racing on the track. Stock Parts: As aforementioned, Ridge Racer is an arcade racer, and nothing else. 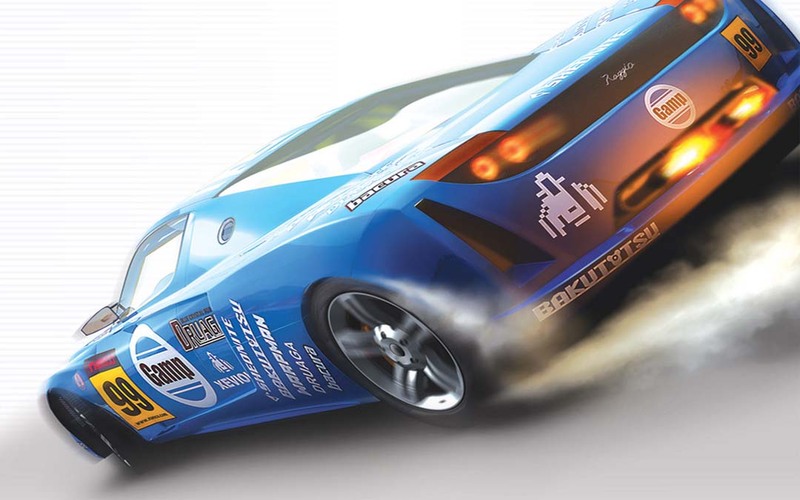 The game is all about hopping from race to race, unlocking cars on your way to beating the game. In Ridge Racer you are unable to tweak your car in any way, and you are stuck with the same look and feel of each car through the entire game. Rent vs. Buy: Overall, Ridge Racer is a pretty impressive game for being the first venture into the portable world. The formula and gameplay of the game hasn't changed a bit, and of you are not fans of the series this game will not convince you to re-look at the franchise. If you liked the series on the various consoles, you will undoubtedly find comfort in the PSP version of the long-running series.